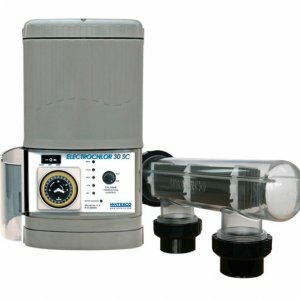 A200TL model = This model produces 33grams an hour of chlorine eq, and it has a timer built in to run your pool equipment and a light transformer to run a pool light. 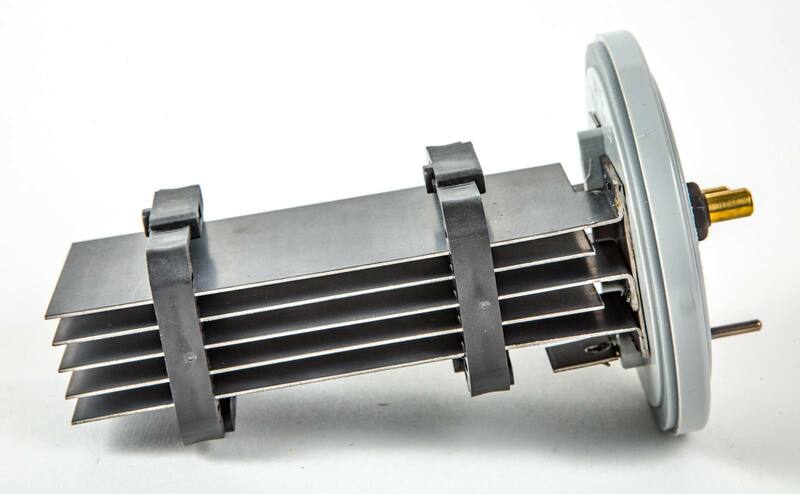 It is a self cleaning reverse polarity system. 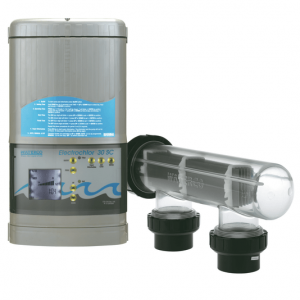 With over 20 years experience in manufacturing and engineering saltwater chlorinators, you are assured one of the most reliable and advanced salt chlorinator systems available. Autoclear is a high performance salt water chlorination system that lets you enjoy crystal clear pool water without harsh chemicals. For advice about which is the right model for your sized pool, just email or call me and I can assist you. Autoclear improves your pool water quality by using salt and which is a safe, clean, easy alternative to dosing your pool with expensive and messy chlorine granules, tablets or liquid. Easy to operate and understand. Protection in the event of power surge. Push button re-set means no expensive and time-consuming repairs. Audible & visual warnings for easy fault identification. Solid plates as standard. Less cleaning required. Unique cell design allows maximum water flow through your filtration system. Unique compact micro cell needs less room to install. Automatic protection for your system if over-salting occurs. Warning light flashes if salt level is too low. Easy adjustment for chlorine production control. Warranty support second to none. 2 Year Full Warranty on both power supply and cell. (Plus additional 36 months pro-rata warranty on standard model cells). Autoclear emulates natures delicate balance by producing chlorine from a mild solution of salt in your pool. In fact, you can only just taste it but it’s enough to impart that soft “fresh as the sea feeling” to your pool water. 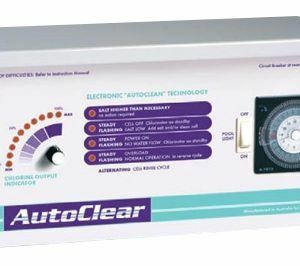 The Autoclear system is suitable for domestic and commercial applications. Install it with a brand new pool or spa. 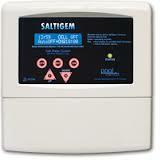 Convert your existing pool to automatic salt water chlorination. Autoclear costs very little to operate. 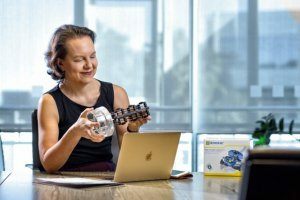 On average, you’ll need to run your Autoclear unit for 6 – 12 hours per day in Summer, 4 – 6 hours in Autumn and Spring and 2 – 4 hours during Winter months. Models are available with electronic ‘Auto Clean’ technology which will automatically clean the cell to minimise ongoing maintenance. A truly high performance automatic salt chlorinator. 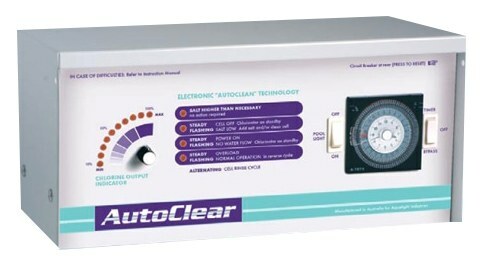 An Autoclear system consists of two working components. 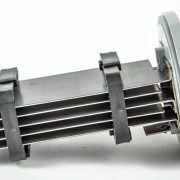 The electronic cell which connects easily to standard pool plumbing and the wall mounted power pack which controls the operation of the system. When used with a time-clock it automatically chlorinates your pool for the desired period each day. All domestic applications come with a 2 year warranty on power supply. Cell electrodes carry a further 36 months pro-rata warranty on S series. All commercial applications carry a 12 months warranty from date of installation on both power supply and cell electrodes.